A new partnership is demonstrating that conservationists and ranchers are looking at the future with similar hopes. 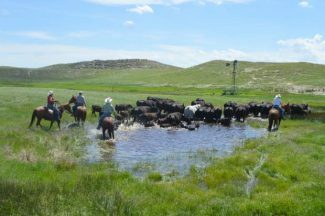 The Nature Conservancy in Nebraska bought the 840-acre Graves Ranch in Garden County in 1983 because its conservation value was so profound. For years, blowout penstemon was thought to be extinct, until 3,000 plants were discovered in the Sandhills — with a third of them on Graves Ranch. 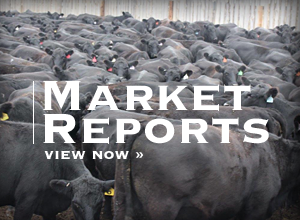 Nearly four hours away, cattle used in the teaching program at the University of Nebraska's College of Technical Agriculture (NCTA) near in Curtis needed more pasture for the summer, said Ron Rosati, NCTA's dean. The unique partnership using beef cattle and beginning ranchers began. "We need large grazers to keep grasslands in good health, and that is especially true when one of your goals is blowout penstemon conservation," said Jason Skold, director of conservation programs for The Nature Conservancy (TNC). Since 2007, NCTA and industry partners have been helping young people get started in ranching through the 100 Cow Ownership Advantage Program. Approximately 80 students have enrolled in 100-Cow and nearly a third are ranching today in some ownership capacity. Three major impediments to becoming established in ranching are lack of capital, lack of technical skills, and lack of assets. 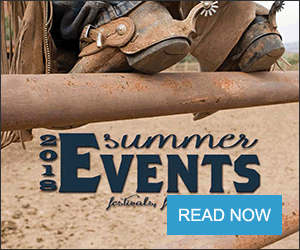 This summer, TNC and NCTA created a partnership attempting to address both "lack of technical skills" and "lack of assets" typically challenging beginning ranchers. "We appreciate The Nature Conservancy working with NCTA to help students overcome these obstacles," Rosati said. NCTA students and instructors now have access to a wonderful, educational resource in Garden County. NCTA has been expanding its successful 100 Cow program by adding a component through which students take ownership of a donated heifer during their academic career, and leave the NCTA campus upon graduation owning a bred heifer through "Heifer Link." In this first year, NCTA students are grazing cattle on TNC's Graves Ranch, and are learning to change fencing/grazing patterns to meet habitat and conservation goals. Additionally, a second partnership came about with the neighbors at the Crescent Lake National Wildlife Refuge, a unit of the U.S. Fish and Wildlife Service. Because of the remote conditions and limited access to the Graves Ranch from campus, NCTA workers are allowed to stay at the refuge's bunk houses, and use cattle load facilities, plus access across the pastures to the isolated ranch. "Cultivating conservation values in the next generation of Nebraska ranchers has been a goal of NCTA from the start," Rosati said. "This effort is an innovative way for students to apply their knowledge on-the-ground, making a real difference in the survival of an endangered species." Dr. Doug Smith, NCTA animal science professor, oversees the student programs which will include range management students determining stocking rates, cross fencing and pasture rotations. The students provide the labor and management. In addition, equine students take NCTA horses on site to hone their trail riding and ranch horse skills, checking perimeter fencing and gathering cattle this fall to truck back to campus. NCTA students also will use the program for livestock management internships and public education outreach.